Vintage Kids' Books My Kid Loves: Great Monday Give: Aardvarks, Disembark! 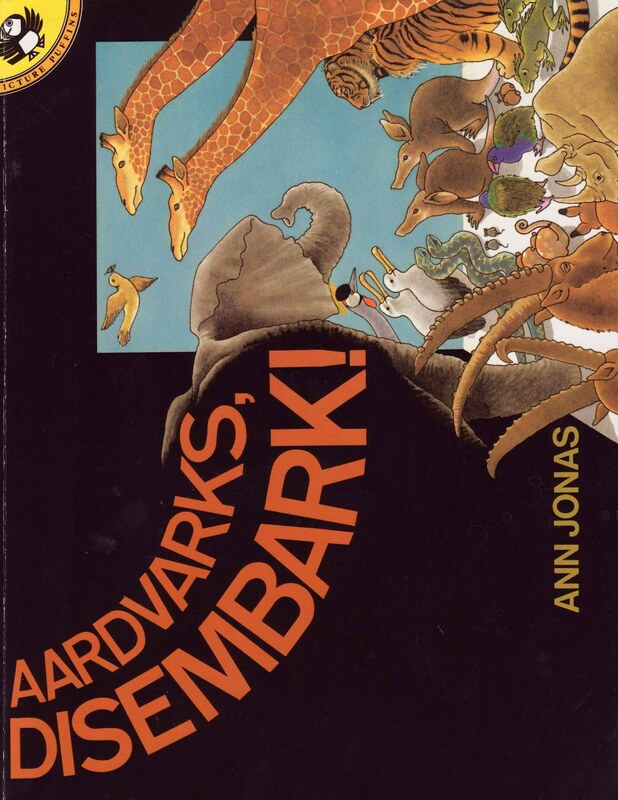 Up for grabs today is a nice (nearly new) paperback copy of the book Aardvarks, Disembark!, by Ann Jonas. All you have to do to be entered to win is comment on this post between now and Sunday, April 29 at 11:59 CT. A winner will be selected at random and announced the following day. As for last week's winner of The Giant Jam Sandwich... it's Christina Song.... Congrats and e-mail me at webe(at)soon(dot)com with your mailing info. Wow! This book is something new to me. This sounds like another good one, thanks! Always love a great animal book.Thanks! Perfect! I'd love to win. I'd love to win, too! I haven't entered one of your giveaways in a long time, but I'm still here, admiring your books. We're still loving our Beatrix Potter treasures you sent to us. My nephew and niece are animal-crazy these days. I'd love to win this for them. I just found your blog, and it's awesome! thanks! I'd love to read it. :) Sounds like a great Ark story. I just found your site through a link from Animalarium about Verena Morgenthaler. I look forward to exploring older posts and discovering more treasures. P.S. In a Julian Barnes novel a character (well, a woodworm from the ark) says that Noah's wife ate the unicorns.